How's this for timing? Only days after Monica Vinader revealed in an interview that her firm had loaned Kate the "Riva" necklace and earrings worn to a Natural History Museum event, Kate wore the set to the National Portrait Gallery on Wednesday. Here's our previous article about Vinader's interview and the reported loan. So, the question is this: does Kate own these pieces? My guess -- yes, she does. 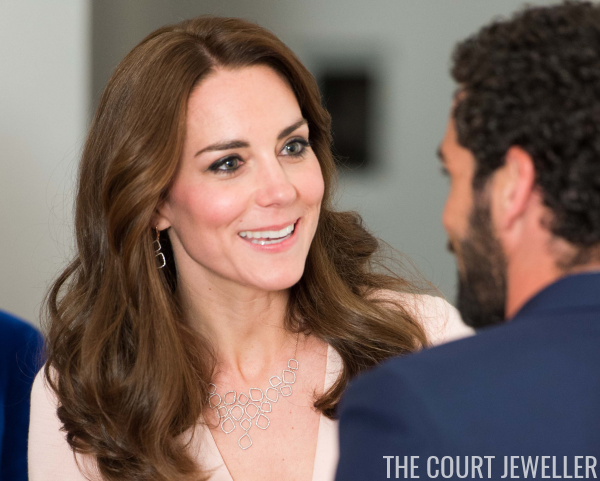 I think it's possible that the company sent the jewels as a loan to Kate and her styling team, she liked them, and she decided to purchase them (or someone purchased them for her). That's all speculation, of course. But I also think it's unlikely that she'd borrow the same pieces twice, so I feel fairly confident that she does own them now. 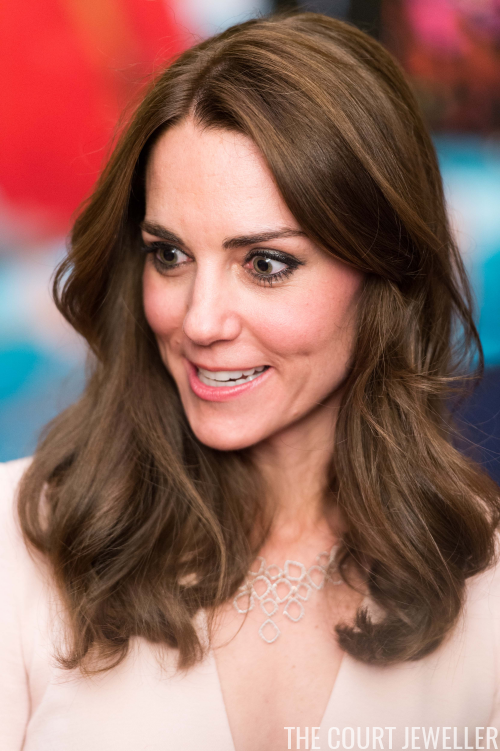 Do you think Kate was making a statement by wearing the Riva jewels, or was this an enormous coincidence?